Contact 1st: Start here 2nd: Schedule a call 3rd: Contract! 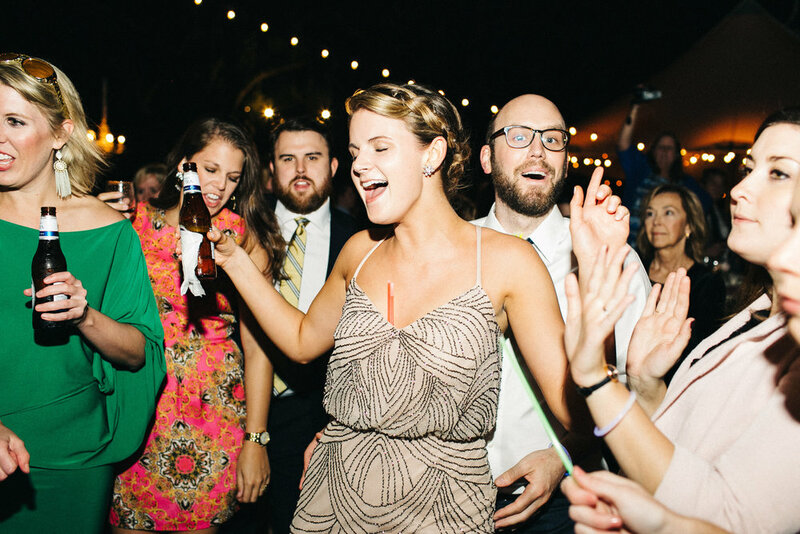 We searched long and hard to find a DJ who would know exactly how to keep our wedding fun. We are SO lucky to have found Lucas. He took the time to get to know each of us, and heading into the weekend, we had no fear that he would deliver. He is an excellent DJ and can mold into any music genre but excels in what we wanted...edm, house mixed in with wedding classics. Not only does he deliver music, but he served as a great emcee that helped direct our guests through the night. You will not be disappointed and really don't need to look any further. This guy is for real! most weddings struggle to keep people on the dance floor, but with Lucas, I can guarantee you won't have that problem!! Lucas was amazing from the first call to the last dance. He listened to what we wanted for each part of our wedding and made great suggestions to round out our playlists. At the wedding, he was especially good at reading the crowd so that at any given point all of our friends and family were feeling the music and having a great time. Seriously, many of our family members and older guests even said they might not normally have danced to some of the music reserved for later in the evening but the DJ had set it up so well that they couldn’t help but keep dancing. Everyone had a blast and that dance floor stayed poppin, thanks to Lucas! Lucas was phenomenal- my husband and I had a small wedding at the Omni Grove Park Inn Inn Asheville, NC with 50 guests ranging from 9mo old to 70+ and kept the party alive the entire time. He was incredibly perceptive to our requests and took a lot of time to really understand the overall feel we were trying to achieve. He arrived 4-5hrs early to ensure ample set up time and allowed the reception to flow incredibly smooth. Great on the mic, mixed songs flawlessly, and his energy was a hit with all of our guests. HIGHLY RECOMMEND!! We had the most amazing time this weekend thanks to your sweet jams! Thank you again for everything!!!! You were awesome! If we ever need a DJ again, you'll be the first on our list! I second that. I had no less than a dozen people tell me that you were the best dj they have seen at a wedding. Lucas did an amazing job at our wedding on May 20th, 2017. He truly has a gift for being a DJ. In the past, I have gone to weddings where the DJs play songs all the way through before going to the next. Lucas is worth every penny. He mixes songs, and makes the crowd go crazy. His transitions and song choices kept the dance floor busy all night. We had a destination wedding, and when we came back home, Lucas was the number one topic of conversation in regards to our wedding. People were amazed by his work, and asked me if he was able to travel to Ohio for their future weddings. We cannot thank Lucas enough for his energy and creativity. 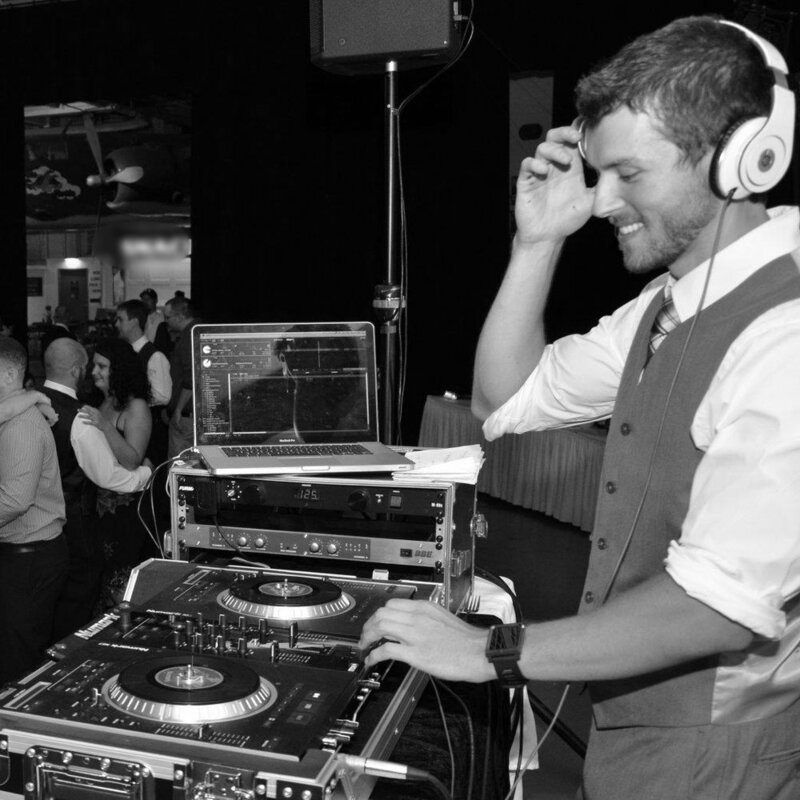 He was hands-down the best DJ and would be an incredible addition to any wedding. I can't tell you how many compliments we've gotten about you!!!! Thank you so much for proving everyone wrong about DJs!!! You were freaking amazing!!! Lucas was hands down the best DJ/Wedding Band I have ever seen, and I come from a family of 130+ so I have been to a LOT of weddings. I received similar stories and praise from almost all of our 250 guests in attendance. He was extremely organized and easy to work with. He took as many requests as we could give prior but also inserted his own touch on the night which was amazing. He also made sure the day is entirely about those on the dance floor. I would say he reminds me much more of a DJ you'd see at a great venue than a typical wedding. What an awesome night! Lucas was a dream to work with! My husband and I were planning our Hilton Head destination wedding from Chicago and Lucas was so easy to work with! He has a laid back demeanor that makes you instantly feel comfortable. His musicality and experience working with wedding crowds was incredible - our dance floor was packed the entire evening! We even had some guests come up to both us and Lucas asking if he would fly to Chicago for their weddings in the fall. He made our night by keeping our guests happy and dancing! We would recommend him time and time again! I wanted to reach out and let you know that we loved you DJ'ing our wedding! I am still getting compliments on the amazing DJ! So I wanted to say thank you!! This is THE best DJ in Charleston. All of my wedding guests said it was the best music of any wedding they've been to. Guests were trying to dance between cocktail hour and dinner, that's how good they were! Dance floor was filled all night. So happy with Lucas! They sure do know how to keep a party going! The wedding was a blast! Lucas played everything that we asked, and even found a little known song for my Father and I to dance to. He read the crowd beautifully. It was so special to see so so many people up and having fun. Lucas was by far the best choice we made for DJ and music for our wedding and reception. We were looking for someone dependable, flexible, easy-going and fun while also producing a top-quality product and service. We definitely found that in Lucas. We knew from the very start when we met him in his office that we would have an amazing performance and experience with him at the helm. He was amazing in working the crowd and driving high-levels of energy with our guests throughout the night. Trust me when I say that our guests had tons of great feedback with his performance. There are certain individuals who never (and I mean, NEVER) dance at weddings and we saw them busting a cut on the floor because if his mixing, constant transitioning and variety of music. We would book Lucas any day and every day and twice on the weekends! He is the best around and you get your money’s worth with the packages that he offers. We had very high expectations and Lucas exceeded them by a mile. He was a very big part in why our wedding was tremendously fun and successful!!!! WOW! Lucas provided the most magical wedding ceremony and reception that we could have ever asked for. He listened to us from day one, learning our likes and dislikes in music...he picked the perfect ceremony music and kept the dance floor packed during the reception. Lucas was an awesome DJ for our wedding. From the ceremony, to the cocktail hour through the reception, he did a great job keeping the party alive. We received so many compliments from guests on how great he was. And he has the coolest microphone! Book him! Lucas was awesome to work with!! My husband and I would highly recommend him! Our wedding was the first time our families had met, and Lucas had everyone out on the dance floor having a good time together. We received so many compliments on how awesome the DJ was. We can't thank Lucas enough for making our wedding reception such a memorable evening. Lucas is an amazing DJ! We debated between a DJ and a live band for a while, we chose Lucas and were 1000% the right choice!! The music was so good, our guests wouldn't leave the dance floor! Everyone had a blast! Thank you! Lucas is fantastic. When we met them a year out from our big day, they were extremely fun and even gave us a tour and stopped for a beer. Lucas made our day absolutely incredible. He really knows how to read the crowd and play the right stuff. The dance floor was full the entire night, and people are still talking about how much fun it was. THANK YOU so much for making our wedding so memorable! Lucas was absolutely wonderful and kept everyone dancing all night! We also got our photo booth and uplighting through them and everything was fantastic! Thank you Lucas for a great night!! Highly recommended!! The most important thing about your reception is the music. So don't skimp on money here. This is where you need to spend money. Not on flowers & centerpieces. When you want a DJ who will make your reception THE reception that everyone will be talking about for years - go to Lucas the DJ. Choosing Lucas to DJ for my reception and it was the BEST decision I made for my whole reception. All of my guests were up and dancing. The dance floor full all night. They were so easy to work with. They also did uplighting in my reception room and it really made the room transform for the night. He made necessary announcements, threw in some mash ups, and made the night memorable for all. All of our guests have said that it was the best party they have ever been to. You are in the BEST hands if you hire Lucas the DJ. Don't go anywhere else. Tyler and I wanted to thank you for doing such an amazing job. Our wedding was more than we could have asked for and a lot of that was thanks to you! It really was a special day and your skills as DJ were unbelievable. The timing of everything was seamless and the music was incredible. Most of the complements of the night were thanks to you! Everyone could not believe how awesome the music was and everyone "had the time of their lives" (quoted from many family and guests, Tyler and I included!). People were also impressed at your professionalism as well as your ability capture the feeling of the crowd. 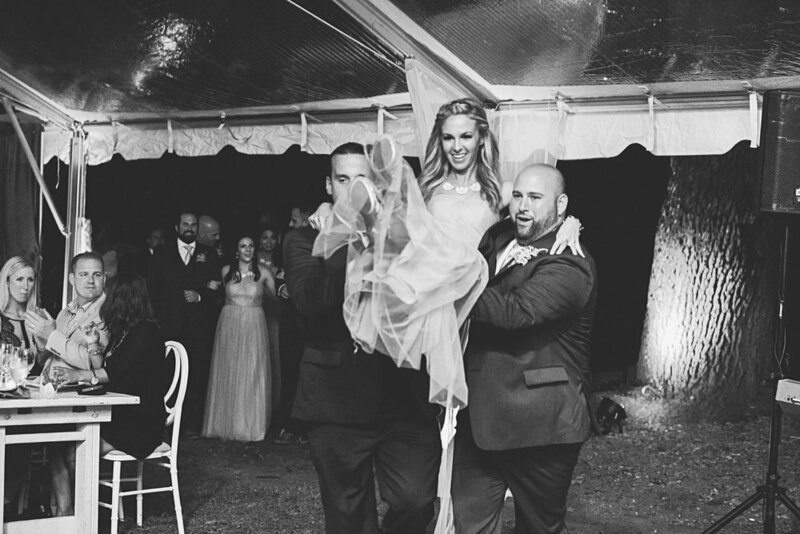 All was evidenced from the amount of people saying it was one/ if not the best wedding they had ever been to, and the amount of dancing through the night! I planned our wedding in Charleston after only living in town a few months - so I knew NOTHING. Most of the vendors we booked were on the recommendation of our site coordinator. However, when it came to the DJ I couldn't get excited about any of the choices. They were just so cookie cutter and generic. I found Lucas on a wedding website and was impressed with how consistently great their reviews were so I set up a meeting. They were impressive, funny, knowledgeable and professional. They promised a unique experience and had some great suggestions. They delivered and then some. The wedding reception was perfect - We were on schedule all night and played some great music. our one complaint was the night didn't last long enough!! Lucas is not the cheapest DJs out there, but they are worth every penny. 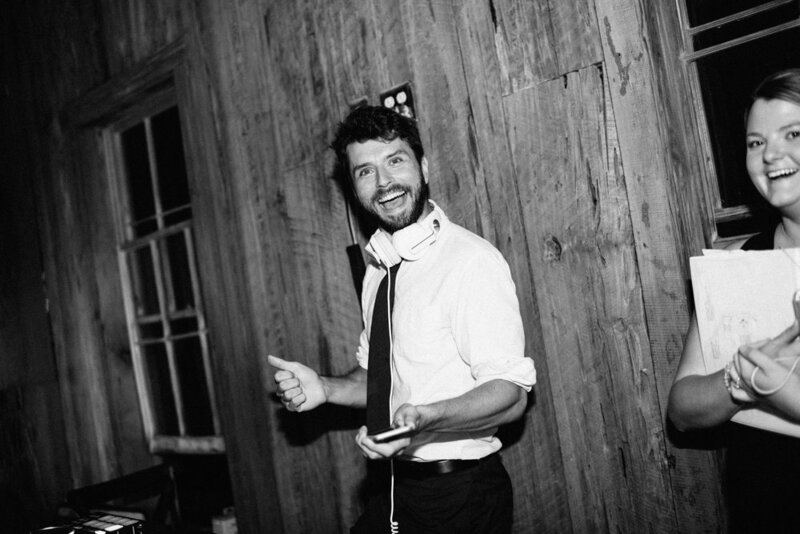 Lucas dj'd our wedding and was THE BEST. He incorporated our requests, including some more random requests, into a fantastic mix. Most importantly, everyone was dancing, including people whom I've never seen dance before. People are still telling us how awesome the music was at our wedding. My mother, who was a DJ in the early eighties, definitely approved, and she can be very critical of DJs who don't take their job seriously. We highly recommend Lucas. Lucas made our reception amazing! The music was fantastic and the order of events was done so smoothly. The song selections were perfect to keep the night going. Everyone was out of their seat dancing and at the end of the night almost everyone was still there keeping the party going. They are extremely talented, professional, and personable. Don't look anywhere else. Lucas knows what he's doing!! These guys are so much fun, and really know how to throw a party! Lucas kept the music going and made sure everyone was having a good time. Would definitely recommend them to anyone looking for a DJ! Our family and friends are still talking about how great the DJ was. Lucas understands the crowd dynamic and created a reception that catered to guests of all ages. You know it is a great time when the floor of the venue is bouncing up and down because virtually all guests are dancing. From start to finish, Lucas has got you covered! He is fun, professional and hands down the best DJ in town! The DJ was very accommodating and kept the dance floor full! We had special requests that he was more than happy to do for us. He was great at both the wedding ceremony and the reception! Everyone had a great time. Lucas was awesome to work with. If you want FUN, PROFESSIONAL, and ROCK'N DJ's...Lucas is your man! We actually got married on Tybee Island near Savannah and I was a little hesitant to book someone from Charleston, but he assured me it was not an issue...he was absolutely right! They provide uplighting, which was a high + for us, as no other DJ I came across provided that service. Wow, it really transformed the space. Their music was on point to get all ages out on the dance floor. They are did a photo booth by Photo Lily...our guests are still raving about it! It was so much fun and now we have all of these hilarious photos to remember our reception with. I did a lot of searching and am so happy I came across Lucas. They are upbeat and bring a young totally non-cheesey MC presence to your event. I am happy to give them 5 stars and wished I could have given more! They are super responsive, which is hard to come by sometimes, so that made it easy to get my questions answered. They had a "survey" to fill out before the wedding day and it helped to keep everything organized. They have a great business going and should charge more for their services (Shhhh don't tell them that!). Lucas rocked our wedding!!! The day was amazing thanks to them. They honestly made the wedding!!!!!!!!!! My husband found Lucas online and we both knew from listening to their music that they were everything we had wanted. We didn't want some old dude to DJ our wedding, we wanted someone young and hip and full of energy and that's what we got!!! Lucas was seriously like having Tiesto' at our wedding!!!!!!!!!!! They just ROCKED IT!!!!!!!! They were always very patient and caring when I would call them stressing as any normal bride does. They are incredible with communication and ALWAYS got back to me whenever I needed answers to questions or just to talk about my upcoming day. They listened patiently and never rushed me off the phone. I'm so pleased I picked them to DJ and wouldn't have it any other way. Everyone is still talking about how awesome our wedding music was and what a good time they all had. I would HIGHLY recommend Lucas thank you so much for everything!!!!! I will use you again!!! Lucas could not have been more wonderful to work with. They were super responsive on emails, assisted me in figuring out the flow of the evening, had suggestions for everything I asked about, and kept our guests entertained and dancing all night. My husband and I could not have been more delighted and we had a fantastic time at our wedding. I would hire them again in a minute! If only we lived in Charleston! Lucas and Nicholas were excellent DJ's at our daughter's recent wedding reception. They were professional, fun and totally in tune with our guests - everyone was dancing and didn't want the music to stop. Their sound system is great and they played a range of music. Lucas was helpful organizing the bridal party for the 'grand entrance', and did a good job announcing the toast and cake cutting. I would highly recommend them for quality service, an engaging style that appeals to all ages and great music choices with a good mix of fast and slow songs. Lucas was our amazing DJ for the night. He played all the songs we asked. My family was very impressed. My guests were asking where I found my him. He played each song with perfect timing. Upbeat/Slow at all the right times. We had everyone on the dance floor. You can see at the end of my video, how much fun my guests had. A+ Lucas!